The Hampton CVB sponsored my trip to Hampton. All opinions are my own. Hampton, Virginia, a quaint port town just 30 minutes from historic Colonial Williamsburg and one really awesome under-sea tunnel drive from Virginia Beach, may be one of Virginia’s best kept secrets. Mind you, this Hampton is not THE Hamptons (for the geographically challenged, THE Hamptons of the rich and famous includes the towns of Southampton and East Hampton, on Long Island, New York). This Hampton is more closely associated with NASA, Norfolk Naval Base and Edgar Allen Poe. When visiting, I highly recommend staying near the waterfront at the Crowne Plaza Hotel Hampton for its convenience. A second alternative, near shopping, extensive dining options and convenient to the highway, would be any of the hotels near the convention center. I stayed at the Holiday Inn Express near the Convention Center and found it easy to navigate Hampton by car. 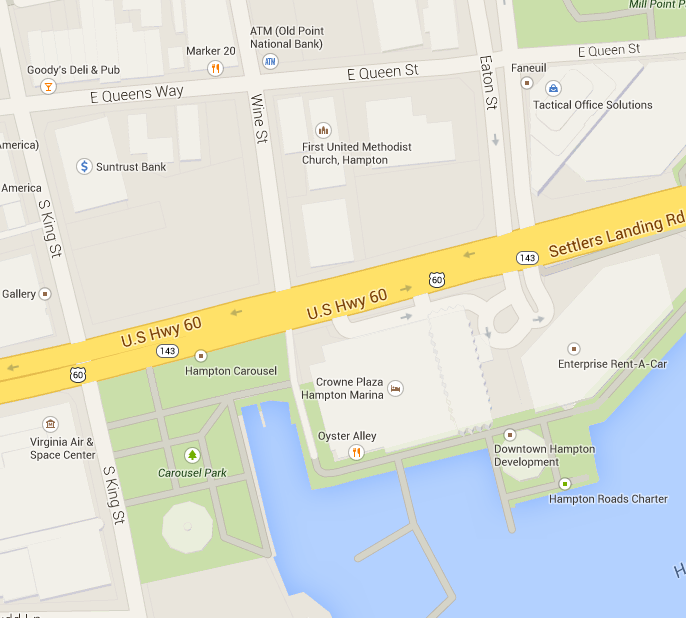 Since this article is about the Hampton Waterfront…. let’s get back to that! Downtown Hampton offers a variety of activities sure to please every member of your family. Even better, it’s a great destination for budget-minded families! Map of the Downtown Hampton area and the Queens Way area. The Hampton Carousel, built in 1920, is one of only 170 antique carousels still in operation in the United States. The carousel’s recent refurbishment has restored the 48 horses and 2 chariots to their original glory. I’ve ridden lots of carousels, but I’ve never seen one so stunning. Clearly, the Russian, Italian and German immigrant craftsmen knew what they were doing. When you visit, look for the horses with carved feathers — they’re extremely rare! It’s simply amazing. 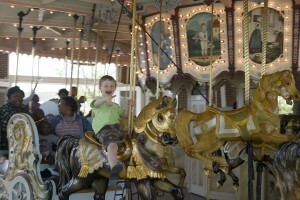 The Hampton Carousel is open year-round. See the website for hours and directions. Each ride is $2, and riders can purchase tickets at the Virginia Air & Space Center next door. Serving as the official visitor center for NASA Langley Research facilities, this center houses an extensive collection of flight and space related artifacts, interactive exhibits — including the fantastic Space Racers play area, a 3-D IMAX Theater and much more. 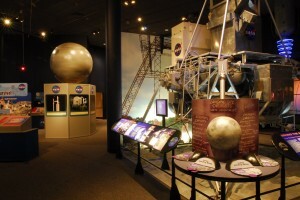 Detailed information about the exhibits can be found at the Space Center’s website. What you won’t read at the website, perhaps because it can’t be objectively quantified, is the passion this center’s employees and volunteers have to share history, space, science and the future with visitors. Docents and staff take guests on personal tours of the facility, bringing science to life. They help guests understand the intricacies of space modules. They put scale into perspective. They share stories about the fighter planes on display, connecting the facts of history to real people. That personal touch makes the experience here so very different from most science museums. 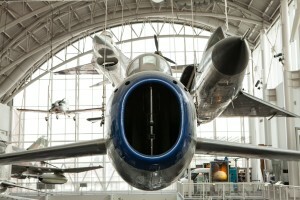 Virginia Air & Space Center is open year-round, closed Thanksgiving and Christmas days. For ticket prices and to learn more, click here. 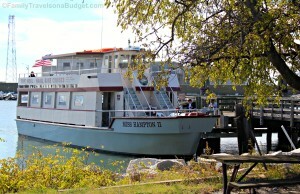 The Miss Hampton II is a double-decker tour boat that operates seasonally, May through mid-October, to carry passengers through the Hampton Roads Harbor, past Blackbeard’s Point — where Blackbeard met his untimely death, Hampton University, the Norfolk Naval Base and Fort Wool — where President Andrew Jackson made his summer home. This popular tour is a favorite among visitors to Hampton for many reasons, not the least of which is the entertaining crew. The tours last about 3 hours and include a close-up look at the Navy ships at Norfolk. To see the Navy ships, the tip of a submarine and even the USNS Comfort, a Naval Ship which provides medical care across the world, up close was cool (yeah — I sound like a teen, but it was!). Before returning to the dock, Miss Hampton II stops at Fort Wool for a tour of the remains. Fort Wool was originally built to complement Fort Monroe and protect the harbor from invasion during the Civil War and beyond. Neither fort was ever attacked, perhaps because of their great design and strategic placement at the mouth of the James River. In rough waters, the Miss Hampton II will skip the stop at Fort Wool —- due to safety concerns. Beyond the history shared, the close up look at the Naval ships and the tour of Fort Wool, the crew is quite entertaining — sharing jokes and colorful stories to keep guests of all ages entertained. The lower level of the boat also offers snacks and sandwiches for sale, a heater and enclosed windows and space to stretch out. If visiting on a windy day or when temperatures are below 75, be sure to bring a jacket! It gets cold on the Miss Hampton II. Also, if water is choppy, you might get splashed. You’ve been warned! 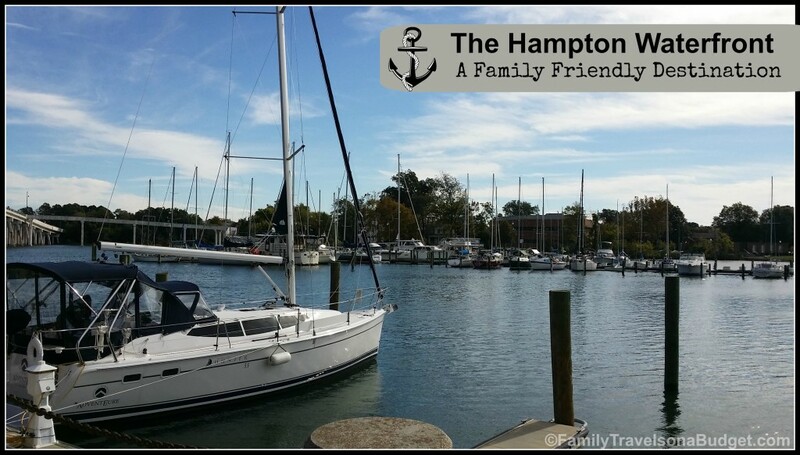 Tips for visiting the Hampton Waterfront on a budget! Get the Sea to Stars Ticket and save on admission! Adult tickets are $39 and youth tickets ages 4-11 are $25. Each offers admission to the Virginia Air & Space Center, the IMAX theater, the Miss Hampton II Harbor Cruise, the Hampton History Museum and the Hampton Carousel. Tickets are available at the Hampton Visitor Center. Be sure to check the website for operating hours. Take advantage of free attractions in the area! Hampton is particularly budget-friendly with many free attractions. By far, my favorite attraction in all of Hampton is the Casemate Museum at Fort Monroe. Fort Monroe is surrounded by a moat! YES! A moat! How cool is that? Within the fort, the Casemate Museum shares stories of the Civil War, including Edgar Allen Poe’s affiliation with it. Be sure to climb to the top of the fort to find the pet cemetery there — more on that in another post. Other free attractions in Hampton include: the Hampton University Museum, the Charles H. Taylor Art Center, Sandy Bottom Nature Park — a 456 acre recreation area with two lakes, hiking and biking trails, playgrounds, boating areas and picnic facilities, and Bluebird Gap Farm — a 60- acre site featuring barnyard animals, a playground, picnic areas and a petting zoo. Visit During a Festival. Add to the vacation fun and by timing your trip to coincide with a Hampton festival. 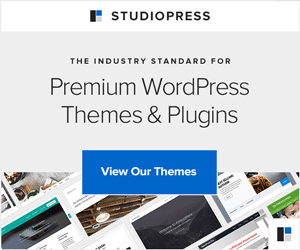 • Blackbeard Pirate Festival: Held the last weekend in May (May 30-31, 2015), this festival celebrates the demise of Blackbeard, one of the meanest pirates who ever sailed the high seas. The festival features live entertainment, pirate encampments, children’s activities, fireworks, sea battles and more. Admission is free. For more information, visit the Hampton website. • Bay Days: From September 11-13, 2015, Bay Days is a combination of live entertainment, education about the Bay — with children’s area and Tidewater Dock Dogs, arts fair and food vendors. Of course, no waterfront festival would be complete without fireworks — no worries! They’re included too. Admission is free. To learn more visit BayDays.com. • Holidays in Hampton: The waterfront hosts a number of seasonal events as well. Some include: Poochapalooza Howl’Oween and the annual Halloween Bash at the Virginia Air & Space Center, the Coliseum Central Holiday Parade, the Holiday and Kwanzaa Marketplace, the Downtown Hampton Lighted Boat Parade and the Hampton Holly Days Parade. • Hampton offers much more throughout the year. Plan your trip to coincide with a festival or event that fits your style. For the complete list, check out the Hampton CVB Calendar of Events. Thank you, Hampton CVB, for hosting my trip and introducing me to your city! My wife and I are looking for some vacation spots right now. I really liked this post, and since I have a son that loves space, the Virginia Air & Space Station would be perfect for our itinerary. Thanks for sharing this article, and hopefully we will be visiting soon enough! Thanks for that! I’m so glad it helped. When you visit Hampton, I hope you’ll drive out to Fort Monroe too. It’s simply amazing. The architecture is a marvel. The moat, the views of ships coming and going from Norfolk and so much else to see and do. It’s my favorite national park! If you want more info, I wrote an article on it. Just search Fort Monroe. Have a great vacation!